Back in October, YG Hootie dropped off his highly anticipated (and bucketlist) collaboration with Kendrick Lamar, with the cut appearing on his new album, Hubris. The emerging rapper has officially released his latest, with the project spanning 13 tracks and featuring the likes of Rayven Justice, Mayor Muddollaz, and The Big Homie, in addition to K. Dot. 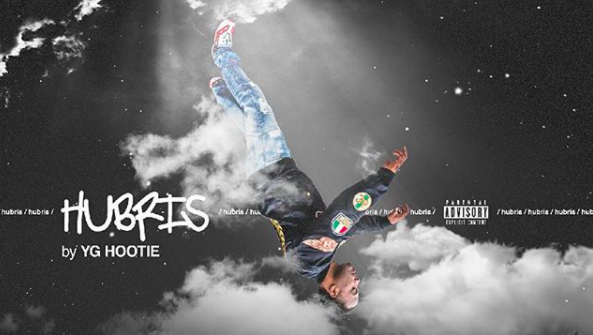 "Hubris is an ancient Greek term related to having too much pride, or ego; being defiant to God; arrogance and conceit," YG Hootie shared with 2DopeBoyz, speaking on the album. "Something we see in everyday life that as of lately is becoming more and more detrimental to society." Much like the inspiration suggests, Hubris dives into topics surrounding the complexities of the ego, as well as explores themes of love, life, loss, religion, the prison-industrial complex and more. Take a listen YG Hootie's Hubris below. REVOLT News | Baron Davis' "Christmas in Compton"